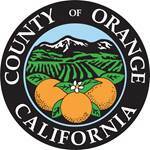 After nearly 35 years of serving families in Orange County, the CD School will be closing. We are grateful to everyone who has been a part of this incredible program. We are happy to let families know that the Summer Camp and the Community Social Skills Groups are still enrolling for upcoming sessions. We encourage you to find out more about a new school for children experiencing challenges with ADHD and related neurodevelopmental disorders at The Children’s School website. This school is modeled after the UCI CD School program and will carry on the mission and services beginning September 2019. Copyright © 2019 UC Irvine Health Child Development School. Powered by WordPress. Theme: Spacious by ThemeGrill.